Xiaomi is expected to hold a press conference on Tuesday, where the company will unveil the brand new Mi Note 2. Even though there still is one day to go, the web seems to be flooded with leaked images of the device. Last week, we’ve seen a few images depicting the phablet that hinted to a curved display. 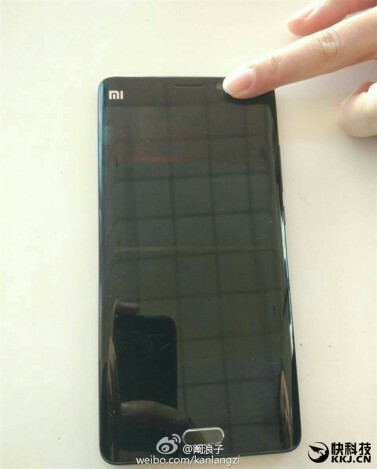 The latest leaked images were shared by Playfuldroid on their Twitter page, and seem to confirm the curved screen of the Mi Note 2. The same images show that the handset will be available in a glossy finish, with a rather large camera sensor on the upper part of the back cover, with a dual LED flash. 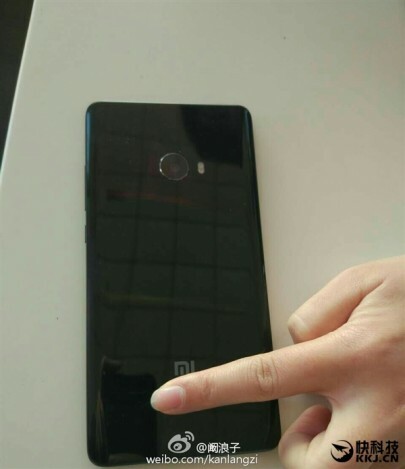 If the images are accurate, we must admit that Xiaomi is about to release one good looking smartphone, with a simple and elegant design. The fingerprint sensor of the handset is embedded in the physical home button, which is placed on the lower edge of the device. As far as specifications go, it was recently rumored that the Mi Note 2 will be powered by Qualcomm’s Snapdragon 821 chipset and will include up to 6GB of RAM. An Adreno 530 GPU and a USB Type- C port are also in the cards. The internal storage of the Mi Note 2 is also rumored to be a quite impressive one. We know so far that there will be a 64GB version of the handset, that will most likely be paired with 4GB of RAM, and a more high-end version that will offer 128GB of internal storage and the aforementioned 6GB of RAM. It is also possible that the higher-end smartphone will have a dual camera system, but given the last leaked images of the handset, this really is uncertain. Rumor also had it that the Mi Note 2 will come with a 4,100mAh battery, which would be larger than the one sported by the majority of the flagship devices that were released this year. The official announcement of the phablet is only a day away, so we will be able to confirm or discard all the rumors that recently surfaced on the web. Xiaomi usually delivers handsets wth a great price to quality ratio, so the success of the upcoming phablet really depends on the price customers will have to pay for the specs and features offered by the device.